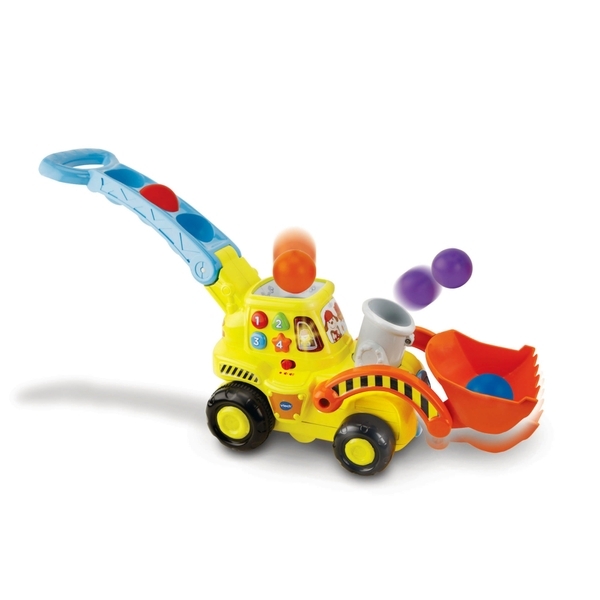 This push-along pop and drop digger from VTech develops your child’s tracking and motor skills as they learn to walk. Through cause & effect, your child will love scooping up the balls with the digger and watching as they pop out. Pressing the buttons activates imaginative role play phrases that teach numbers, shapes and colours.